The society of the future is not the backdrop to a science-fiction film. 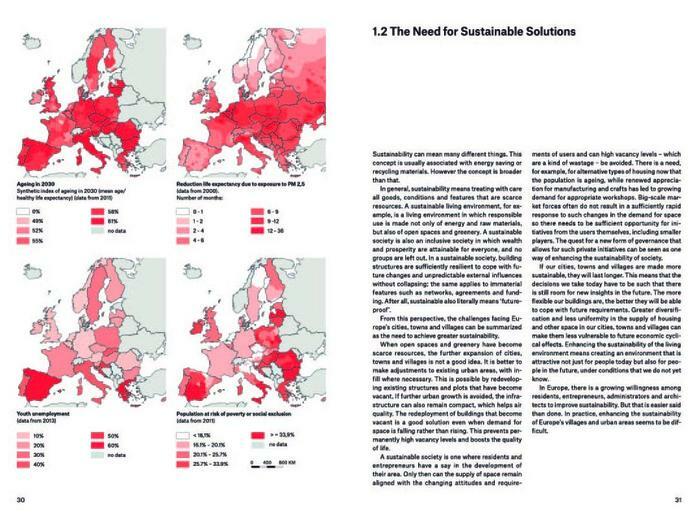 Right now, throughout Europe, you can find specific examples of solution how cities and regions are strengthening themselves, working on smart solutions to the complex issues they face. Urban regions, cities and villages are hives of activity, creating networks of innovation and experimentation that will provide answers to the challenges of today and tomorrow. Take, for example, climate change or urbanization. Or trends such as our increasing mobility and the need to keep cities accessible and liveable. Or how we need to make the transition to ‘the next economy’, which will be defined by sustainable energy and the circular economy. 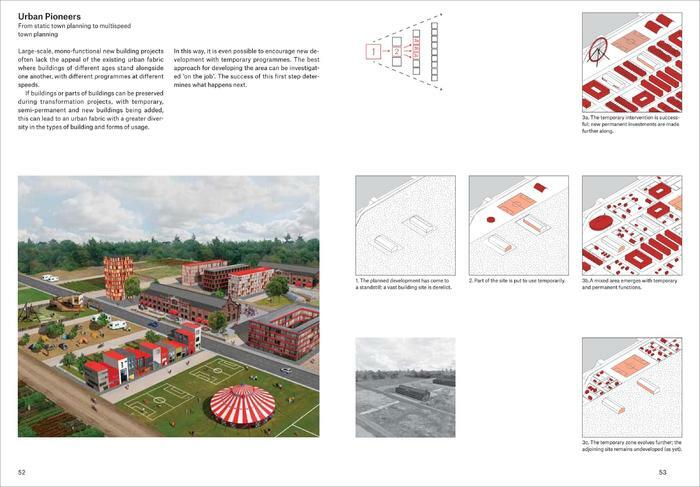 This book is about spatial innovation in European cities and villages. 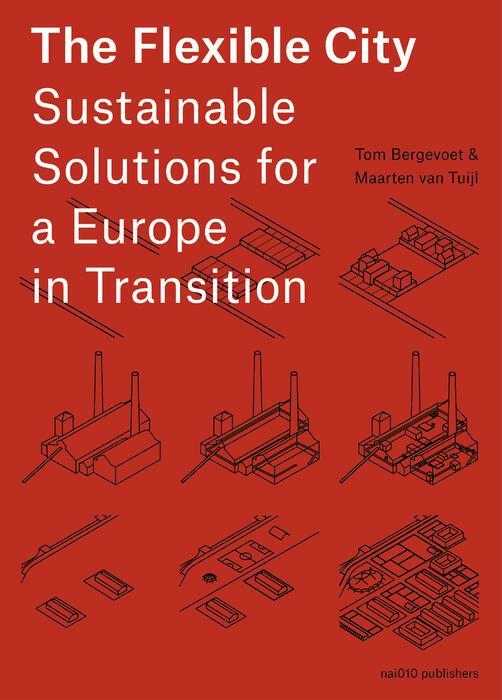 The writers, Tom Bergevoet and Maarten van Tuijl, view innovation as the key to making today’s European cities and villages future-proof and flexible. They use practical examples to show how we can make population centres more sustainable and make flexible use of the available space. Our use of space needs to be adaptable so as to accommodate the changing wishes and needs of urban populations and businesses. And there must be space to experiment and innovate – in villages with dwindling populations, for example, buildings that are not listed can be demolished and replaced by community gardens on the land that has been freed up as a result. How Does Flexible Planning Work? • Tom Bergevoet (1972) is an architect, a publicist, researcher and guest lecturer at the Faculty of Architecture and the Built Environment at the Delft University of Technology and the Academy of Architecture at the Amsterdam University of the Arts. He has worked for SANAA (Tokyo), OMA, Architectenbureau Koen van Velsen, and Architectuurstudio Herman Hertzberger and won several competitions. • Maarten van Tuijl (1972) is an architect, publicist, researcher and a visiting guest lecturer at the Delft University of Technology and a number of academies. He was trained at the Delft University of technology and at the Columbia University in New York. After working for Rafael Vinoly, Atelier Zeinstra van der Pol and UN Studio, he co-founded na-ma architecture with the Japanese architect Naoko Hikami in 2002.